Negligence is basically defined as the failure of providing a proper care towards something. The present study is been carried out with the purpose to evaluate the tort of negligence in case of the Thermomix appliance Australian company. It would identify the issues faced by the company and the rules and regulations being implied on the same. This commercial law assignment would help in stating the relevant civil liabilities act and legislation against the manufacturing company. It would further discuss the Australian consumer law against the distributers or manufacturers. Duty to take care: One of the most essential situations of the liability for negligence which the defendant owes legal duty towards the applicants. Duty must be towards the applicant: It is not just enough that the defendant owes a duty of the care against the claimant. Breach of duty to take care: This is another essential situation where the liability in negligence is that the claimant must be able to prove the breach of duty to take care being committed by the defendant or fails to perform its duty (Chan, 2016). Subsequent damage or significant harm to the pretender: This is the last essential obligation for the tort of negligence which states that the harm caused to the applicant was the result of the breach of the duty. The harms could be physical harm, harm to the body, harm to property i.e. land and buildings, rights, etc. harm to reputation, economic loss, mental harm, etc. With reference to the case of Thermomix appliance, it has been claimed that many of the customers had faced severe injuries due to the defect in the appliances being manufactured or distributed by them. Many of the instances came across depicting the injuries caused due to the accidents. These acts are considered to be the tort of negligence by the applicants and thus include a breach of duty and liabilities. It has been recorded that more than 33 people claimed the issues with the machines such as unlocking the lids, mechanical failures, spill out of liquids, etc. This created immense injuries to the people using Thermomix appliances. The tort of negligence provides with the rights to the applicants to sue for the compensation to restrain the conduct. As per the Australian common law, an individual is liable to sue against the negligence and claim for the injuries (Eze, 2014). In addition to this, the principle of legality offers some protection from the statutes which permit what the issues and the negligence specifically. Though, a tort of negligence might also amount to a crime and the claims in torts are considered to be civil claims brought by the individual who is concerned and seeks to have compensation from the company towards the injury or loss. It is thus stated that the tort of negligence is referred to the obligation by failure to act as the rational individual to someone to the one she/she owes a duty as needs in the law under any of the situation. The tort law of Australia has implemented a cap to the extent of possible tort which might be owed to the injured users. There are basically four types of damages which might be given in the action of tort. Aggrevated damages, nominal damages, compensatory damages and exemplary or punitive damages. It has been argued by some of the stakeholders against the limits of damages. It has been found that setting up a cap on the torts might have the effects of emphasizing the attention on the upper limits and implicating the serious privacy incursions which should result in a lay out of that extent. Though, it would be the court’s carefulness to make the assessment of the injuries (Nirmal, 2016). Usually, the negligent torts are not much purposeful, and are important to have any of the injury from the breach of the duty. It is a mode which includes various harms caused by not taking any adequate or proper precaution. It is been identified that the claimant must prove the act to be the breach or negligence. In addition to this, the law of tort in Australia is been considered to be the body of standards and to lesser extent a legislation which defines the operation of the tort law in Australia. It is a way in which the law can obstruct the relationships between confidential individuals to correct a form of conduct or wrong. It has been seen that massive number of torts exist against the injuries in the country and drives the legal status from the common law. However, a court is liable to define the existing tort or even distinguish the new ones with the help of common law. It has been also identified that the tort law is now and then viewed as limitless and flexible to modern conditions. Even it has been seen that setting up a cap on the torts could have the effects of emphasizing the attention on the upper limits and implicating the serious privacy incursions which should result in a lay out of that extent. In case of Thermomix appliance, some of the customers who were unsatisfied with the responses towards the injuries claimed against the company seeking penalties for the injuries caused due to the negligence in the manufacturing of the appliances (Dobbs, 2001). All the consequences of tort caries out the results in grant of damages, usually people acquires a right to legally readdress the case if they prove the same on balance of possibilities which they have been a victim of the negligence tort. In some of the cases, the person being affected who might seek an order from the courts to prevent the tort happening or continuing. The negligent torts are not much determined, and are important to have any of the injury from the breach of the duty. It is a mode which comprise of various harms caused by not taking any adequate or proper precaution. It has been seen that the agreement considered by CHOICE limited the consumers from talking about their settlements with others and also limited the discussion which could damage the reputation of Thermomix Australia. In order to succeed in a tort claim, the claimant must depict the defendant had dedicated a civil offense for which the law facilitates with the monetary damages. Along with this, to prove the breach of contract claim, the applicant requires showing the defendant failed to perform responsibility under a contract. In case of the failure of a defendant to execute the services for which he was remunerated, such as if a builder is not implementing a project for which he was paid, is a common contract claim (Gifford and Robinette, 2014). It has been observed that enormous number of torts exist against the injuries in the country and drives the legal status from the common law. A court is accountable to define the existing tort or even differentiate the new ones with the help of common law. The Australian Consumer Law (ACL) is basically a national law for consumer protection and fair trading acts. This law is been administered and enforced mutually by the Australian competition and the consumer commission and the state and the State and Territory consumer protection agencies. This also acquires the involvement of the Australian Securities and Investments Commission (ASIC) on specific matters. With the purpose to gain success in the claim of a tort, the claimant has to prove that the defendant had committed a civil offense against which the law implies monetary damages (Daniels and Martin, 2015). Employment discrimination and defamation of character claims, automobile accidents, crimes, assault, etc. are some of the most common examples of tort claims. The tort of negligence is referred as the breach of the laws and duties of a party to employ the standards of care being needed by law. It normally leads towards the damage to the party to whomsoever the duty was been in arrears. The tort of negligence is referred to the obligation by failure to act as the rational individual to someone to the one she/she owes a duty as needs in the law under any of the situation. It has been seen that a huge portion of the common laws being filed in the Australian authority in case of the disputes between the parties of contract over the appliances. The ACL is a single national law which covers the consumer protection and the fair trading being applied in the state. It has been also identified that the applicants are liable to have the rights to sue against the manufacturer or distributor of the Thermomix appliance (Heise, 2013). Even it has been identified that the setting up a cap on the torts could have the effects of emphasizing the attention on the upper limits and implicating the serious privacy incursions which should result in a lay out of that extent. In case of Thermomix appliance, some of the customers who were unsatisfied with the responses towards the injuries claimed against the company seeking penalties for the injuries caused due to the negligence in the manufacturing of the appliances (Parker, 2015). As per the law, the Australian consumers acquire the right to have protections and prospect about business conduct wherever they are in Australia. Likewise, businesses have the same compulsion and tasks wherever they operate in Australia. In addition to this, the customers are liable to seek reimbursement for compensation and wounded they have experienced due to a problem with a product or service. In other words, customers could also recover the losses that would probably result from your failure to meet a guarantee. It has been also found that the damages involve the cost being incurred by the consumer as a result of the problem with the product or service. Moreover, the customers have the rights to make a claim against the company of having injuries due to the appliances (Walker, 2014). The ACL is the national law which provides the consumer with the coverage of protection and the fair trading being applied in the state. It has been also identified that the applicants are liable to have the rights to sue against the manufacturer or distributor of the Thermomix appliance. It has been seen that massive number of torts exist against the injuries in the country and drives the legal status from the common law. 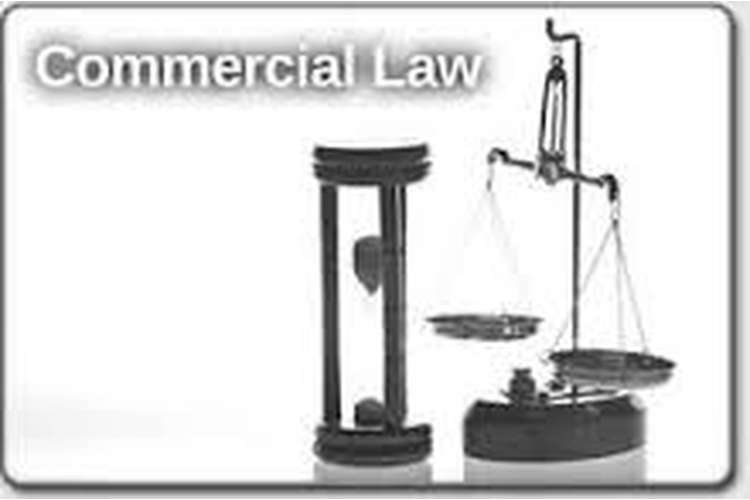 However, a court is liable to define the existing tort or even distinguish the new ones with the help of common law. All the consequences of tort caries out the results in grant of damages, usually people acquires a right to legally readdress the case if they prove the same on balance of possibilities which they have been a victim of the negligence tort (Boyle, 2016). Boyle, L., 2016. An Australian August Corpus: Why There is Only One Common Law in Australia. Bond Law Review, 27(1), p.3. Chan, G.K., 2016. Finding Common Law Duty of Care from Statutory Duties: All within the Anns Framework. The Tort Law Review. Daniels, S. and Martin, J., 2015. Tort Reform, Plaintiffs' Lawyers, and Access to Justice. University Press of Kansas. Dobbs, D.B., 2001. The law of torts (Vol. 2). West Group. Eze, A.G., 2014. The limits of the tort of negligence in redressing oil spill damage in Nigeria. Nnamdi Azikiwe University Journal of International Law and Jurisprudence, 5, pp.50-61. Gifford, D.G. and Robinette, C.J., 2014. Apportioning liability in Maryland tort cases: Time to end contributory negligence and joint and several liability. Maryland Law Review, 73, pp.2013-61. Heise, M., 2013. Empirical analysis of civil litigation: Tort trials in state courts. Research handbook on the economics of torts, pp.11-29. Iacobucci, E.M. and Trebilcock, M.J., 2016. An economic analysis of waiver of tort in negligence actions. University of Toronto Law Journal, 66(2), pp.173-196.